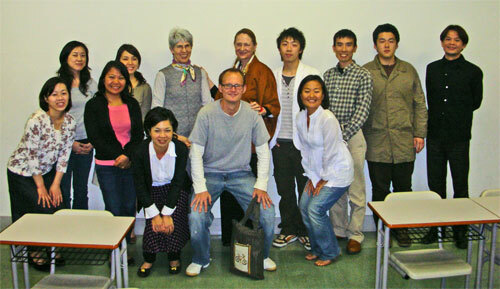 "Getting Acquainted with Humiliation Studies," Graduate School of Intercultural Communication, Rikkyo University, Tokyo, Guest Lecture in Professor Adair Linn Nagata's Course of Intercultural Communication Theory, April 26, 2007. Lecturer: Evelin Lindner. 1. What idea interested you most about today’s class? o I was very interested in the idea of global village. 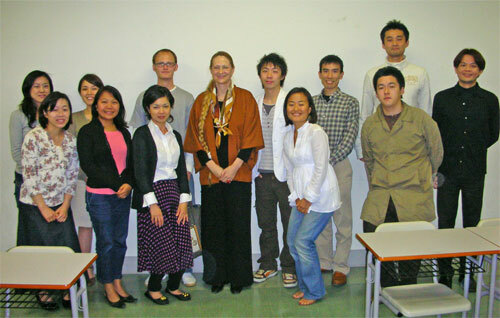 I learned that it is very important for us to build a new inclusive and diverse global culture. o A lot. From the idea of why human activity changed from hunting to agriculture, the idea of the meaning of humiliation and the related experience about honor-killing, to the idea of the transition of social system. Today’s speech really made me feel like knowing more. o I enjoyed learning about the historical roots of humiliation, particularly the value change of human beings in their shift from hunter/gatherers to land owning and protecting agriculturalists. o Her powerful thinking and behavior. o Learning about different phases in history, and how there was a defining emotion for each phase. Learning about such framework helps me see that we are in a transitional period and that a shift from old paradigm to new paradigm is needed. The implication of understanding our place in human history is huge. I remember reading a book by Dr. Ervin Lazslo in which he said that education for the 21st century should be designed and practiced on the clear understanding that we are at a crossroad which braches out into a scenario of breakdown and of a breakthrough. He went on to say that with this in mind education should focus on creating a space where students can nurture their ability to judge what is happening and creativity to take necessary actions to remedy ailing situations. 2. Do you have any comments for our guest speaker? o I’m interested in her idea that must change old paradigm. But I think some people have gained their identity by a kind of bad habits (for others). I wonder whether we should focus on one’s identity or new paradigm. o I was very stimulated by the lecture. I would like to keep learning about humiliation and human rights. o Thank you very much for sharing your idea with us. If we think every person is our family, we do not have to conflict on the communication. Last year, I had an experience of cultural differences. I met an African woman in Asian Rural Institution, Nasu, Tochigi prefecture. She is very friendly, and we really enjoyed talking each other. A couple of month later, she came to Tokyo to see her African friend. She mailed me that she wanted to stay with me before she meet her friend. I welcomed her to show around Tokyo. However my house does not have enough space to stay her. So we decided to stay cheap hotel together. What I surprised at was that she did not pay anything during I stayed with her in Tokyo. I thought that it was difference in way of thinking for hosts and guests. o If I take care of her like my family not only a friend, it was not surprising. o Impressive, both the character and the content of the speech. It’s like some persons that you’ll only see or heard in books and televisions just appeared in front of us. Doing the right thing is always harder than knowing the right thing. 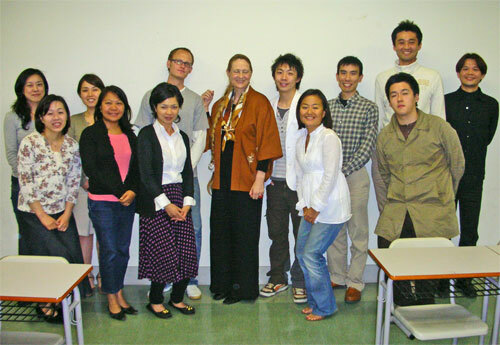 It’s an admiring assignment that Ms. Lindner is trying to conduct, however, introducing more concrete approaches or some aims which is easier to be pictured and achieved might be good to inspire more people to contribute in this task (or maybe it’s just because we had too little time to move into this part). o Dr. Lindner described herself (though I my wording may not be exact) as a world citizen, refusing to be defined according to existing cultural and political definitions. With that mindset, how does she navigate the logistics of international travel and maintaining a sort of “home-base”, which is often necessary for mundane matters such as applying for visas, getting credit cards, etc, etc.? Dr. Lindner’s approach and the way she’s shaped the field of Humiliation Studies could be interpreted as a radical critique of society on the whole; for example, she uses terms such as “Global Knowledge Society” and seems to define the history of human-kind: “trust in abundance”, “fear”… “egalisation” in a new rather unconventional way. I’m curious as to how such intellectual audacity is viewed in academia and wonder what sort of reception she gets for it? o I was good impression for her speaking, especially, what she said, “I don’t like students, I don’t like a teacher, I like everyone as human beings.” It seems very difficult to think like her, even though we can understand in our minds. Yet she was practicing what she was thinking. I remind one of my memories of studying abroad in Lewis & Clark College. In our class, most teachers were equal to students. I was little surprised at seeing those classes because it was completely different in Japan. I had a little shock just like this in today’s class and I like her idea. o I would like to thank her for a very insightful talk.